Having the right tools and using them in the right way is one of the best ways to succeed in woodwork. When you have a miter saw, you can use it for heavy and intricate tasks. The only way that you would use such a heavy tool in the right and safe manner is when you have an appropriate saw stand. You will have the perfect outcome when the saw is used with the best miter saw stand. However, just like any other product on the market, there are so many saw stands. Each promises to be the best and has the right features. This is a good thing as it gives you a chance to choose what works for you. Unfortunately, this can also be quite confusing for an average shopper. 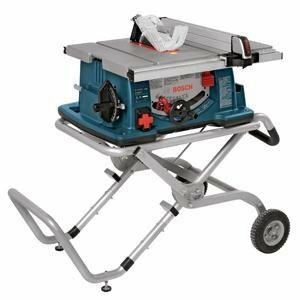 If you are looking to buy a miter saw stand, this article serves as the perfect guide. How to Choose the Right Miter Saw Stand? The first thing that you need to look for in a miter saw stand is compatibility. There are so many different types of miter saw on the market. The miter saw that you have is totally different from others and as such, you need to pick a table that is compatible with your specific saw. As you go about your shopping you should ask for all the details to make sure the saw stand will work with your miter saw. It is advisable to go for the models that work with most models as this will accommodate even you saw. The process of setting up a miter saw stand should be a walk in the park and not something that takes too much of your time. If the thought of setting up the stand scares you, then this is the wrong one that you have. Generally, the stand needs to be easy to set up and ensures that you focus on the task at hand. Most modern models like the DEWALT DWX726 come with simple features, yet are quite effective. It is easy to mount the saw and set up the table, without a sweat. The gravity rise system is a feature that needs to be available on a stand as this will make the setting up far much easier. Look for a stand that comes with modern lowering and raising systems as this simplifies the setup of the table. These are stands that have the advantage of you not having to use your own strength. Checking these features is imperative as it will make it easier to set up the saw stand and improve efficiency. Most of the miters saw stands come with an extension. This is meant to give you more support for longer materials. The crown moldings are known to be up to 16 feet of length and this may be a challenge when you have to work using a miter saw. When you have excellent support for the long workpieces, this will make your work easier. As such, you need to be careful to check the stand that you are buying and see how long of a material it can hold. Most saw stands will support up to 10 feet. With more length, this can be easy to work with and make it stand quite versatile. You cannot compromise on the mobility of the stand. When you are shopping, go for a model that can easily move. This will make it easier for you to move it around when you are not using it. If you are a job site contractor, a portable stand will be quite convenient. This will be easy to move from one job site to another, easily. Unless you have a clear intention of never moving the stand, then you should automatically for one that has wheels. There are some that have rubber wheels, while others come with pneumatic wheels. The best choice would be those with pneumatic wheels as they can easily move even on rough terrains. Ask how much weight the stand would be able to support, without a problem. This is a relevant and pertinent question to ask before settling for any stand. Different stands have different capacities and as such, it would be ideal to establish how much weight each model can support. Some will support up to 1000lb of material, while others have a lower capacity. For most users, they have an average saw that does not require to handle too much weight. Consider the weight of the saw as well as the materials that you will be cutting frequently and this should give you an idea on the weight capacity of the saw stand to go for. The stability of the stand will determine the end result of your cuts. If a stand wobbles during the cutting process, this will interfere will the accuracy and can also be quite dangerous. There are some models that are stationary, while others are collapsible. Irrespective of the design, the most important thing that you should pay attention to is stability. The quality of the materials used to construct the stand will also determine the stability. Go for stands that are made of quality and durable materials. Metal stands seem to stand out from the rest when it comes to the matters of stability. You do not want a miter saw stand that weighs too much. 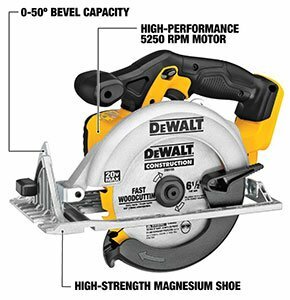 Remember that your miter saw has an independent weight as well. You do not want to add too much weight to the saw by getting a very heavy stand. 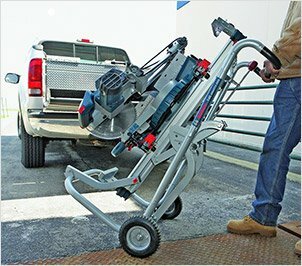 This may make the process of moving or transporting the saw and stand a daunting task, and you do not want that. Pick a lighter stand, but this does not mean a compromise on the quality. 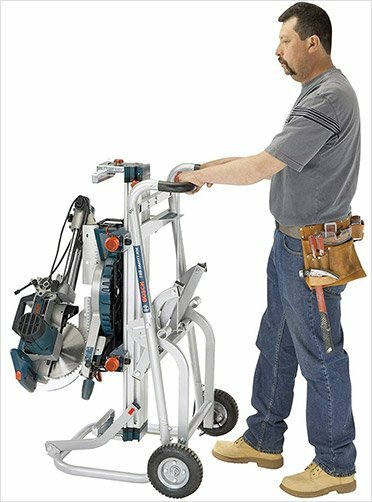 When you have less load to handle, you will have an easier time working with your miter saw. 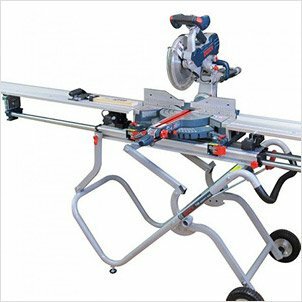 When shopping for a miter saw stand, always go for renowned brands as they are known to be of high quality. As for mobility, you should consider the pneumatic wheels as they are easy to move even on terrains that are even. Look at the design of the stand and go for one that is easy to transport and store. There are models which are collapsible and will fold down when not in use. Check the overall construction quality of the stand and it is advisable to go for those with metal parts. Go for a stand that gives you multitasking abilities to enhance your productivity. Always wear and eye protection when you are operating the miter saw, as a safety measure. Never wear loose clothing, jewelry or hanging accessories when operating your miter saw, as they may be caught by the blade. 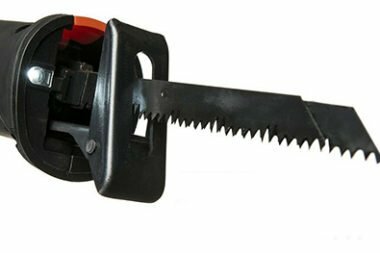 Before starting the saw, check and ensure that it is well mounted and properly secured on the stand, to prevent accidents. 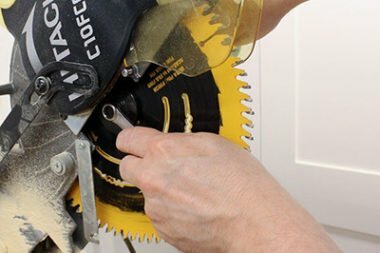 When making adjustments, repairs and changes in the miter saw, ensure that it is disconnected from the power source and turned off. Always keep your hands and fingers at least 6 inches away from the blade when you are making your cuts. 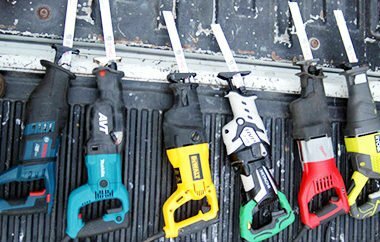 As with any other tool that you may need to buy, it is advisable to have a shortlist of your specific needs. When it comes to the choice of the miter saw stand, there are many types to choose from. This guide will make the process easier to pick a model that will serve your needs in the best way. As long as you have a high quality saw stand, then your results will be quite impressive and you will work with increased efficiency. If you do not know which stand to buy, please check our guide on the best miter saw stand.